A throwback to carefree decadence, boutique lounge WALL, at W South Beach, has proven to be an impenetrably exclusive boite in the heart of South Beach. The hotspot is the latest project in Miami for restaurateurs and nightlife impresarios Karim Masri and Nicola Siervo, the masterminds behind KNR Group and projects including sought-after dining establishments such as Solea, Quattro Gastronomia Italiana and Sosta Pizzeria and Enoteca as well as nightclubs Mokai and Mynt. 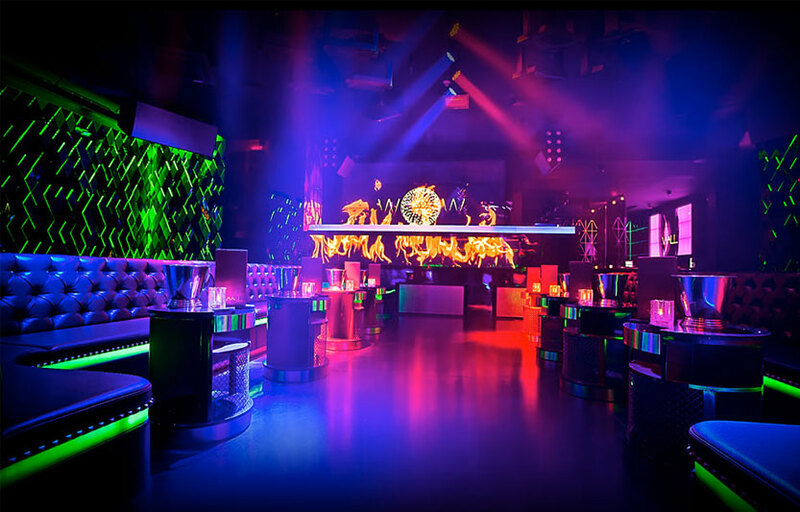 Straying from the traditional concepts of South Florida nightlife, the venue provides an intimate hideaway where celebrities and locals alike can relax and escape from the mayhem of South Beach. Get past the velvet ropes, walk through the beveled bronze doors, breeze past the champagne-swilling fashionable types and gaze upon the iconic interior design of Studio B’s Anna Busta. The gold-and-black motif oozes glamour and edge, captivating and seducing with dark and textured walls. 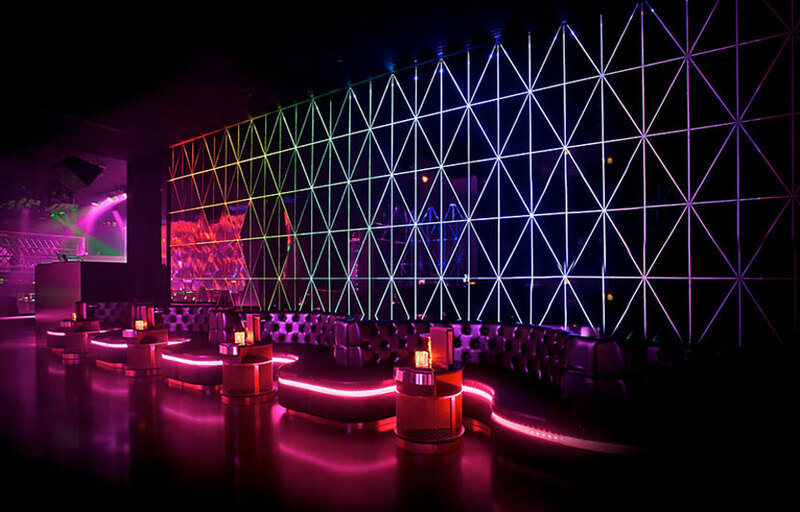 WALL’s unique and open design allows for a constant fow of club-goers and encourages dancing. 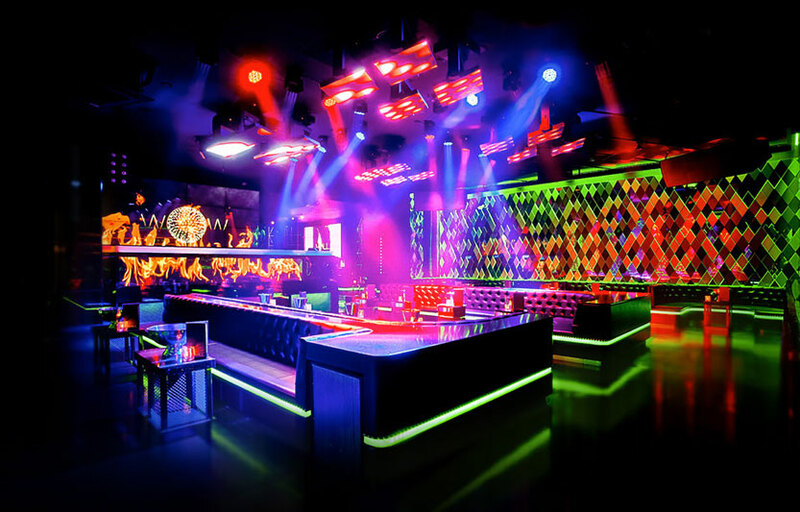 The DJ booth is optimally located in the center of the room facing the main bar. 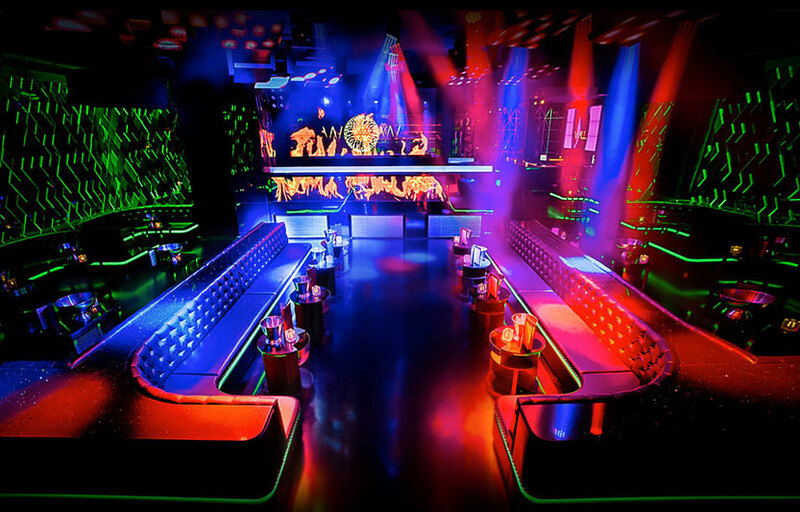 The central area features two signature gold leather couches arranged in easily accessible rows. The back bar displays feature large LED backlit picture frames made from mirror incorporating WALL’s signature diamond motif into the space. Wall’s left the mixology-style drinks to the W’s Living Room lobby bar, and has opted for a more straightforward booze selection featuring bottle service on staples, plus stuff like Gran Patron Platinum, Johnnie Blue, and a brigade of champagnes like Louis Roederer and Perrier-Jouet Rose in a Jeroboam, which is the size of two Magnums — hefty guns like the two Brothers once had, before they ran out of juice. If you are staying at the hotel, you can usually get in for free if you arrive early. 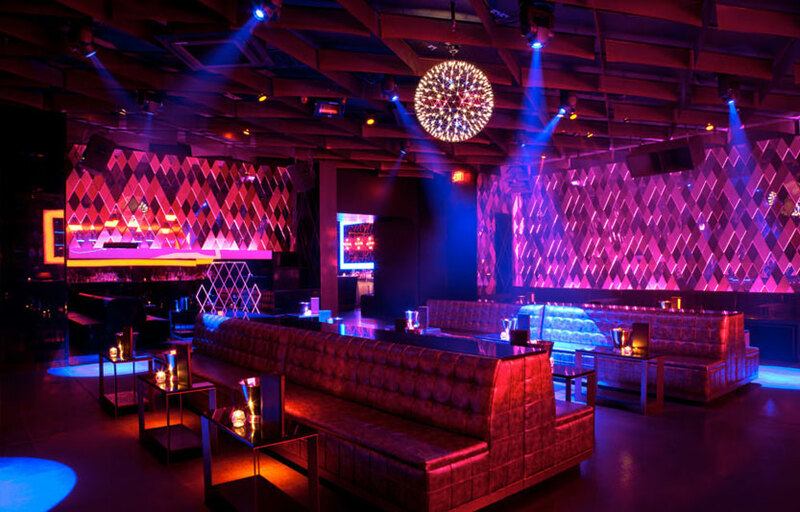 During the week, Wall Lounge hosts a number of events that don’t have a cover charge. 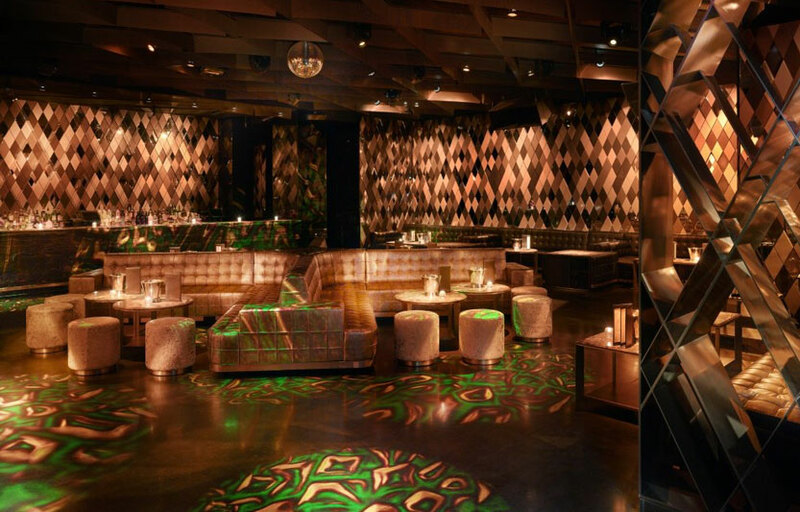 Great place for celeb sightings – a ton of celebs stay at the W and party at Wall. The club itself is pretty small, which means any table will be pretty close to the action. Because it’s a smaller venue, it’s more exclusive. Where is Wall Lounge located? Wall Lounge is located at the W Hotel on Collins. How much is cover charge at Wall Lounge? How long will I have to wait at Wall Lounge? When is Wall Lounge open? Wall Lounge is open from 10 PM – 4 AM on Tuesday, and Thursday through Saturday. What are the best nights to go to Wall Lounge? What is the dress code at Wall Lounge? 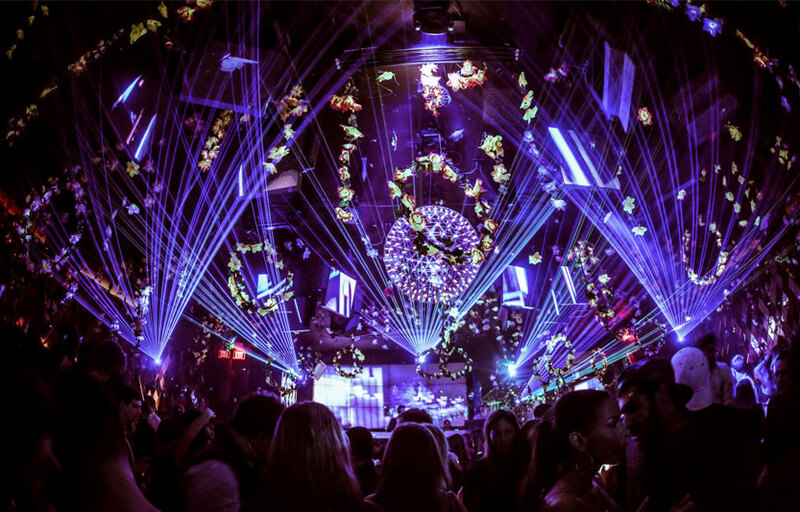 Wall Lounge is one of the more “dressier” clubs in Miami. To be safe, I’d recommend collared shirt / jeans / dress shoes for guys. Definitely avoid anything that can be considered sportswear (track jackets, jerseys, sneakers, hats, etc). On busy nights they look for any reason to not let you in so I would definitely err on the side of caution! Is there parking near Wall Lounge? You can either valet your car at the hotel or self-park. How much do drinks cost at Wall Lounge? What kind of music do they play at Wall Lounge? Wall Lounge usually plays a mix of house, deep house, and electronic. Where can I find an list of upcoming events / DJs at Wall Lounge? You can download the Discotech app to see upcoming events, and book tables for Wall Lounge. You can also visit Wall Lounge’s homepage for a current list of events.